Ed and Amy Kelly of Indianapolis, Ind., are excited about their recent kitchen remodeling. While their initial reason was to update the appearance of their kitchen, the couple realized that replacing the aged appliances would have a big energy-saving benefit. "We bought all new energy-efficient appliances because we would save money in the long run. We watch our bills very closely. Plus, we wanted to do our part to reduce energy consumption," Amy explains. The Kellys would like to implement more energy-saving ideas and projects around the house that would make their home more energy efficient, but like most young homeowners, they're on a tight budget. Luckily there are plenty of home improvement options to fit anyone's budget--from free energy-saving tactics to more costly overhauls. Lindsay Curren is co-founder of Transition Staunton Augusta, a Virginia chapter of Transition U.S., a nonprofit organization that supports building communities that are resilient to the challenges of peak oil and climate change. Curren knows that not every homeowner can afford costly energy-saving upgrades. Think "going green" must break the bank? Think again. Here are a few things you can do to improve your home's energy usage that cost absolutely nothing. Close doors to unused rooms when heating or cooling your house. Pull blinds down during the summer and up in the winter to minimize or maximize solar gain. Turn off heating and cooling when you're not at home. Turn down the thermostat -- "We had a family meeting and decided that, for heating, no one is to set the thermostat above 68, and for cooling, no lower than 75," Curren says. Dress appropriately: Don't wear summer clothes during winter and crank up the heat to compensate. Line dry your clothes -- "We line dry everything winter and summer," says Curren. Sign up for a free account at EarthAid.net to track and reduce your energy usage -- and qualify for rewards at the same time! No need to break the bank to make your home more energy efficient. Here are some low-cost tasks and helpful tools. Use a TED device to measure and track your energy consumption. 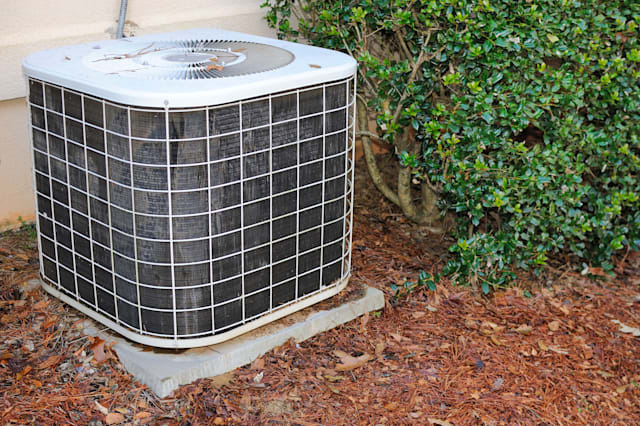 Plant a tree to shade your air conditioning unit so that it will work more efficiently. Install window film, such as Energy-Film, to prevent solar gain during the summer and energy loss during the winter. Caulk or seal drafty areas in your home, such as around windows. Use door snakes, chimney balloons and clotheslines to reduce energy use. Curren suggests other low-cost solutions: "We wrapped an insulating blanket around our hot water heater and insulated the first six feet of pipes leaving the hot water heater. [We also] installed weather stripping around our outside doors, and we bought "draft doggies" in funky fabrics from a vendor on Etsy.com for under the interior doors." Consider the appliances in your kitchen or laundry room. Replacing outdated ones with Energy Star appliances reduces your energy usage and gives you a great excuse to freshen up a room's appearance at the same time. Less-flashy upgrades in this price range include installing a tankless water heater or adding additional insulation to your attic. Curren blew insulation (see "Insulation at Some Saves Money") into the attic to a level of R30 in their Virginia home. Check here to determine recommended insulation levels in your part of the country. Yes, some home energy efficiency improvements are expensive. However, they typically pay for themselves very quickly in the form of reduced utility bills and/or tax rebates and incentives. These include: solar panels, solar water heaters and geothermal solutions. Making 10 of these types of changes saves a typical homeowner $600 or more per year and posts an impressive 16% return on your money, according to a study by the Partnership for Advancing Technology in Housing. Energy-efficient improvements may also increase your home's market value when you sell. After buying their new energy-saving appliances and redoing the cabinets, the Kellys wanted to continue on their energy-saving kick -- but spending more money was not an option. What further upgrades and efforts have the Kellys done to improve their home's energy efficiency? "We shut off the air vents to rooms we don't use on a daily basis. We use ceiling fans in all of the rooms [and] bought dark curtains to block out the sun. Those have really helped our back room that is facing the sun. It used to get extremely hot in there," says Amy. Are they happy with the results? "Yes. We have definitely saved money," she says.